-- Select a Size -- Small - 2.5" Large - 3.5"
Your pup will look sweet as can be with this Huxley & Kent Pinwheel Pet Collar Attachment in the Donut Shoppe pattern! 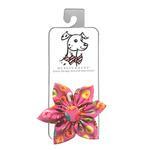 Give your pup or kitty a sweet finishing touch with the Donut Shoppe Pinwheel Pet Collar Attachment by Huxley & Kent. 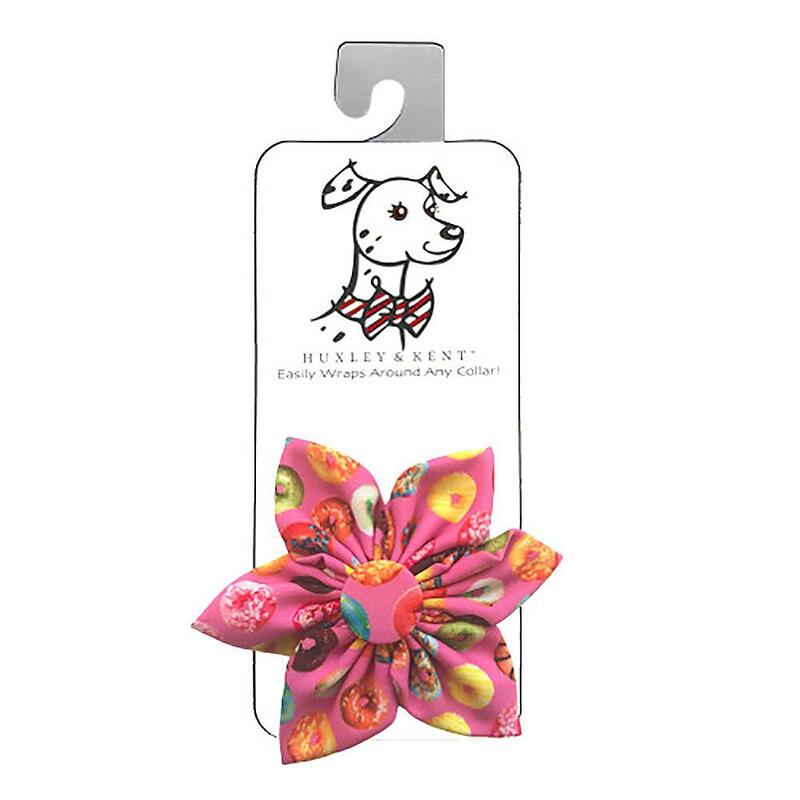 This cute collar accessory is perfect for a sweet and fun look that's perfect for Easter, birthdays, baby showers, or any festive occasion. Spruce up your pet's look in a flash with this easy-to-use pinwheel fabric collar accessory that goes on with touch fastener and an elastic strap. Ideal for both cats and dogs. Look for the matching bowtie and necktie collar accessories to outfit everyone for family photos. Each sold separately. Posted On 08/01/18 by Lisa G from Lubbock, TX Yes, Lisa G recommends this product! Purchased as a gift for a bigger dog whose owners run a donut shop. Will show up well against her black fur!